Magnificent property has so much to offer. 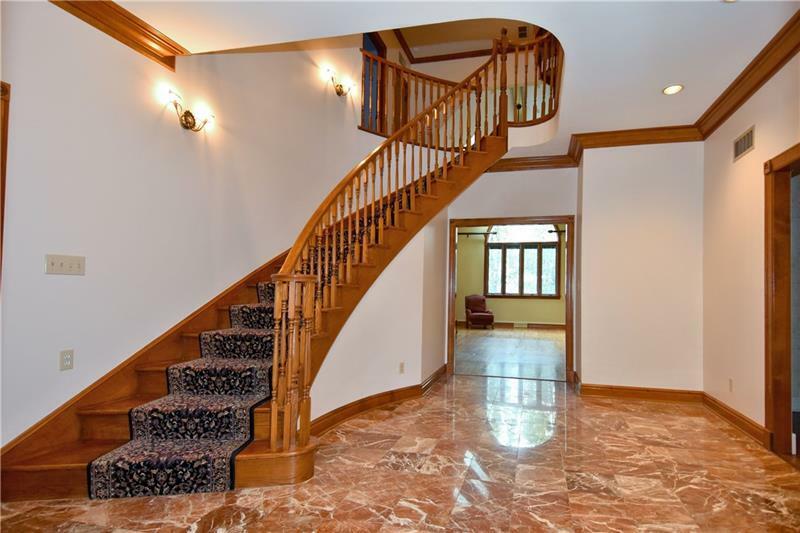 Gracious 2 story marble foyer features elegant curved staircase. 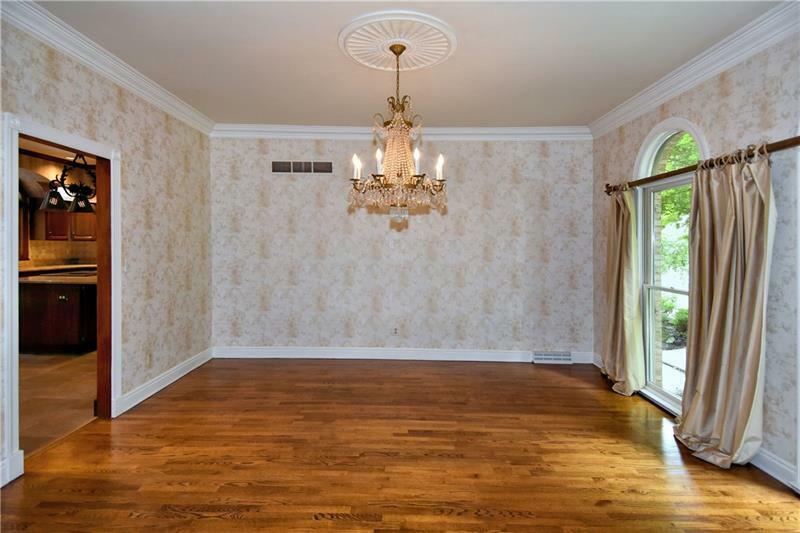 Wallpaper in LR & 1/2 bath removed, rooms repainted, sports court re-surfaced 2018! Walk out from center island kitchen to covered deck overlooking pool & sports court. Remaining rooms on 1st flr have beautiful hardwood floors. 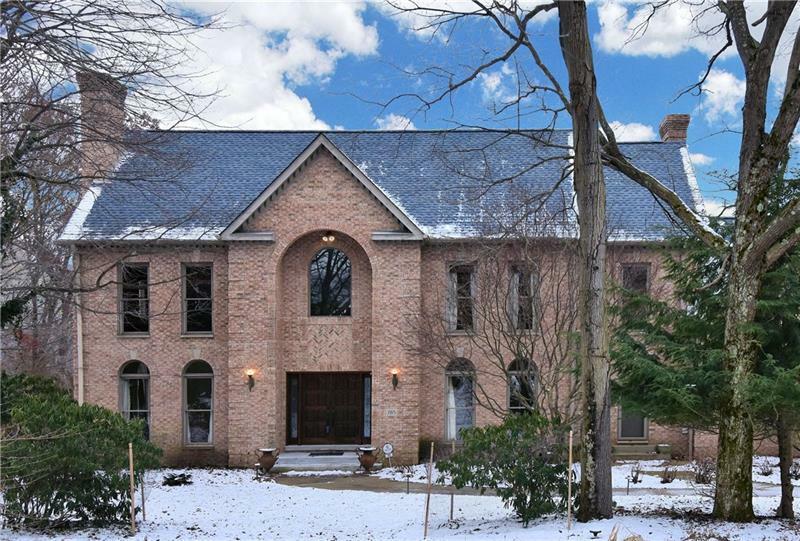 Kitchen opens to inviting family room with vaulted ceilings & impressive stone fireplace. Handsome 1st floor den. Relax in master suite enhanced w/ fireplace, wall of windows & en suite spa bath. Wonderful 3rd flr suite is perfect for guest/teenager retreat/media room/etc. LL comes complete w/ game room, full kitchen w/white cabinetry, 18x12 exercise room, additional rm, 2nd laundry & storage rm plus full bath w/tub-shower & walk out to patio & pool area. Lush landscaping backs to woods & State Game Lands. New roof & skylights 2015. New Epoxy in garage August 2018. Award winning North Allegheny Schools. Easy access to I-79, Downtown, Wexford & Cranberry.